At a time when everyone’s wish was to survive World War II, how crazy would you be to jump on a grenade in a bid to save your comrades? Now let’s say you believed in your chances of survival with just one grenade, how crazy would you be to throw yourself over two of them? Indeed, hurling yourself over grenades would seem to be a rare, mind-blowing act of heroism. But that is the story of Jacklyn Harrell Lucas, the indestructible Marine who enlisted to fight in WWII at the age of 14, just when he should have been in school grumbling about homework. 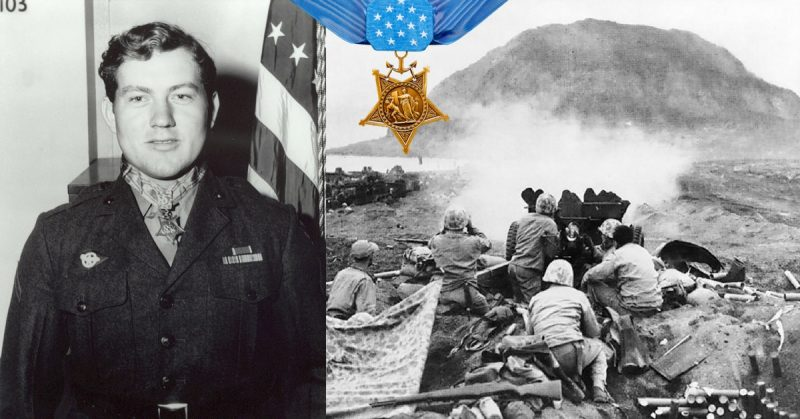 At the age of 17, after finally making his way to the war front, Lucas would throw himself over not one, but two enemy grenades, in an act that would establish him as the youngest recipient of the Medal of Honor in WWII. Lucas was born in Plymouth, North Carolina on February 14, 1928. When Lucas was ten his father died and his mother sent him to Edwards Military Institute in Salemburg. Physically, Lucas appeared much older than he was, towering over his classmates and having a relatively brawny physique. He took part in several sports including baseball, wrestling, boxing, and softball, and would become the captain of his school’s football team. Besides this, Lucas was also a cadet captain during his years at Edwards. After the bombing at Pearl Harbor on December 7, 1941, America’s involvement in the Second World War would become official. At that time, Lucas was just 13 years old. 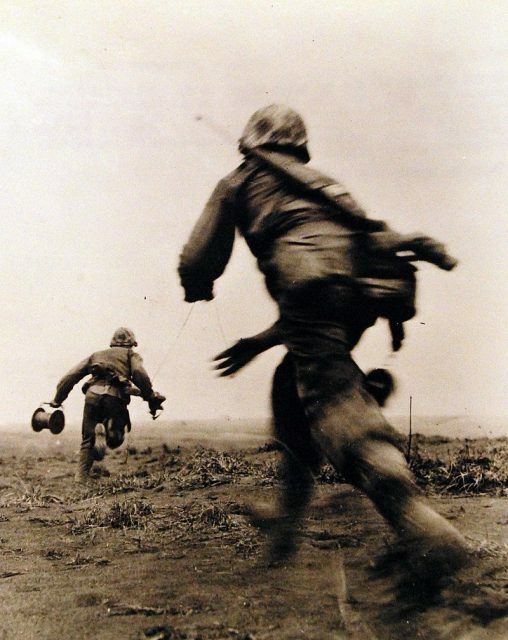 But in August 1942, at age 14, with his height of 5 feet 8 inches and his weight at 180 pounds the muscular kid easily convinced US Marine Corps recruiters that he was 17 years old. 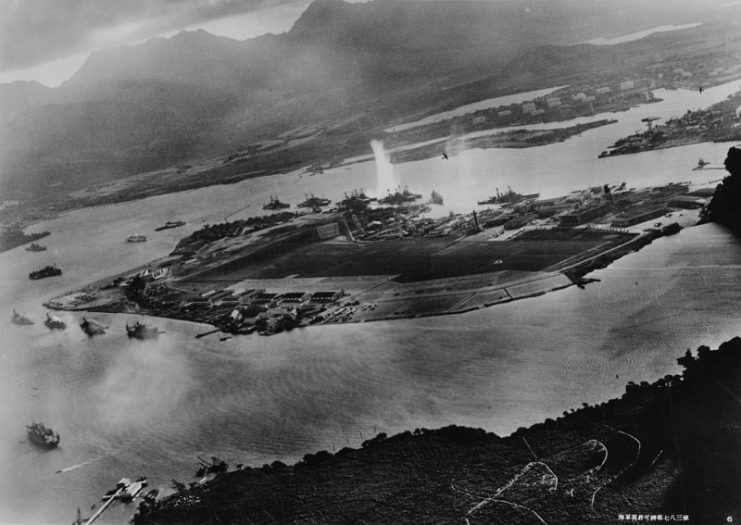 Photograph of Battleship Row taken from a Japanese plane at the beginning of the attack on Pearl Harbor. At the age of 17, one was not allowed to enlist unless he had the consent of his parents. Clearly, parental consent was something Lucas would have never gotten, for obvious reasons. However, hell-bent on joining the Marine Corps, he forged his mother’s signature on the parental consent form. By the end of his recruit training at Marine Corps Recruit Depot Parris Island, South Carolina, Lucas qualified as a sharpshooter. 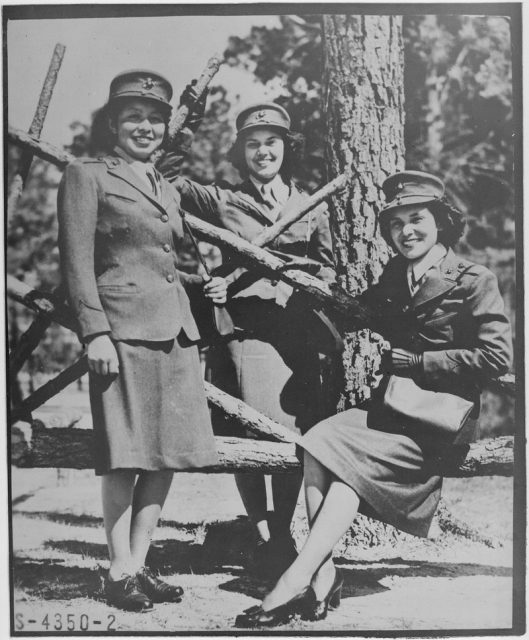 Next assignment would be the Marine Barracks at Naval Air Station Jacksonville, Florida from where he moved to the 21st Replacement Battalion at Marine Corps Air Station New River, North Carolina in June 1943. 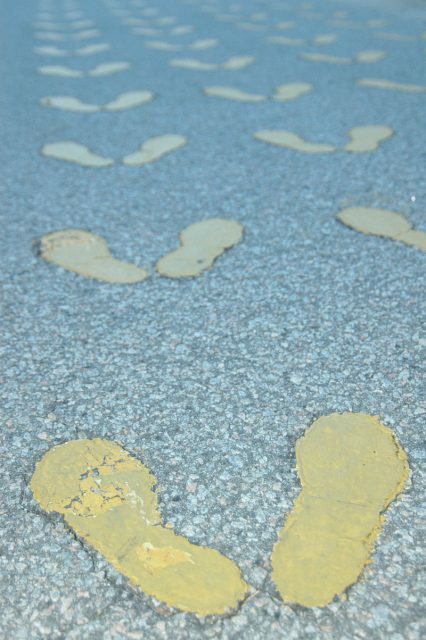 He would progress one month later to Camp Lejeune, training with the 25th Replacement Battalion. After his training, he qualified as a heavy machinegun crewman. In all this time, no one was the wiser about Lucas’ daring subterfuge. Fueled by his natural physical prowess and determination, Lucas was now a full-fledged Marine. He was sent to Camp Caitlyn, Oahu, Hawaii, where he joined the 6th Base Depot of the V Amphibious Corps. He became a private first class on January 29, 1944. Young PFC Jack H. Lucas would have ended up fighting in WWII at such a young age. But clearly, you can’t pull the wool over people’s eyes forever. Lucas was eventually found out by military censors who, after going through a letter he had written to his girlfriend, discovered that he was actually 15 years old.He was promptly removed from the combat unit, and was on the verge of getting sent home. However, after several appeals, he was relegated to a relatively safe position: truck driving. Being “in the rear with the gear” did not sit well with Lucas. Unable to hold in his frustration, he caused trouble all over the place. 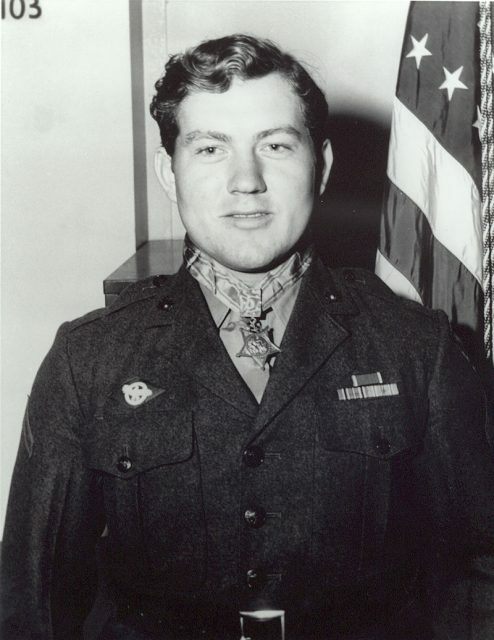 He was involved in so many skirmishes with fellow Marines that he had to be court-martialed. Lucas spent five months in the stockade breaking rocks and eating mostly bread and water. After his release, Lucas was still raring to go to the front lines to witness actual combat. Defying authorities yet again, he left his post on January 10, 1945 and never returned. His comrades reported that they saw him walking away in a khaki uniform, with his dungarees and field boots rolled up under his arm.After he failed to report back to camp by nightfall, the authorities charged him with Unauthorized Absence (UA). If after one month he failed to show up, he would then be declared a deserter. Meanwhile, Lucas found his way aboard USS Deuel which was heading to Iwo Jima with men of the 1st Battalion, 26th Marines of the 5th Marine Division. 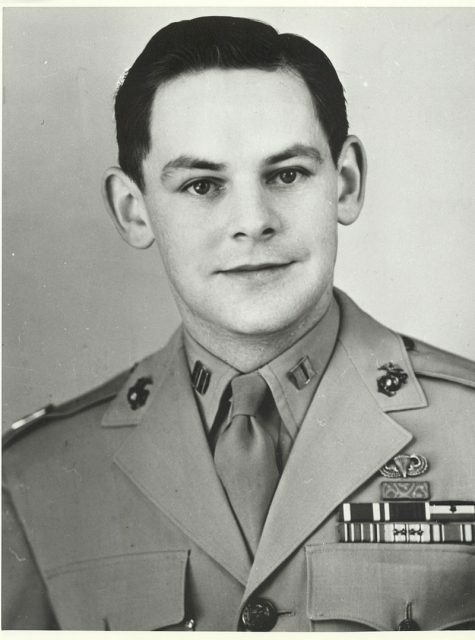 He turned himself in to Marine Captain Robert Dunlap on February 8, just before he would have been declared a deserter. He was punished for the UA by getting demoted to Private. However, by now it was too late to send him back to Oahu, so Lucas was assigned as a rifleman to Captain Dunlap’s rifle company. While at sea, Lucas had his 17th birthday on February 14, just 5 days before Operation Detachment— the invasion of Iwo Jima. On February 19 the invasion began. Lucas and his comrades reached the shores of Iwo Jima southeast of Mount Suribachi as the Marines combated a fierce, passionate Japanese defense. 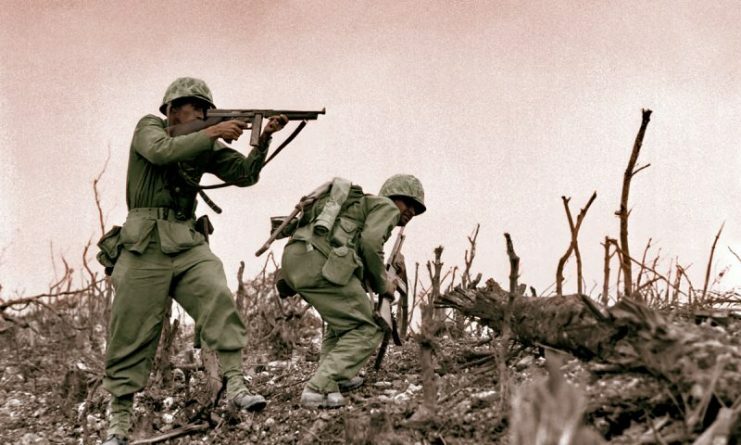 As they approached a Japanese airstrip near Suribachi, brutal, endless enemy fire met them. Lucas and the three other members of his four-man fire team found themselves crawling through a twisting ravine as they made for the airstrip. They spotted a Japanese gun emplacement and quickly fell into a nearby trench for cover. Marines Fighting at Iwo Jima. No sooner had they hid in the trench than they discovered that about eleven Japanese soldiers were in another trench just a few feet away. They quickly opened fire on the enemy soldiers who did not hesitate to reply. While the hostile exchange raged on, Lucas saw a live grenade fall into their trench. Clearly, he knew that was a grenade. The first instinct for any normal person would have been to jump out of the trench and face the risks of getting shot by the enemy rather than be blown up. 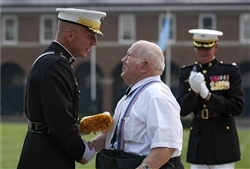 Lucas receives his Medal of Honor Flag from CMC Gen. Hagee on August 3, 2006. However, Lucas quickly dove over the grenade, pushing it into the volcanic ash as he covered it with his brawny frame. Just seconds after the first grenade had landed, a second one followed. Lucas pulled the second grenade under him as well and braced for the blast. The subsequent explosion shot hundreds of pieces of shrapnel into his body, but his comrades were unharmed. The three comrades succeeded in eliminating all Japanese soldiers in the parallel trench and kept moving, leaving Lucas behind. They believed he was dead. Indeed, for someone who had just jumped on two grenades, dead should be an understatement. But just when Marines from another unit were passing by, they found that Lucas was badly injured but somehow still alive. 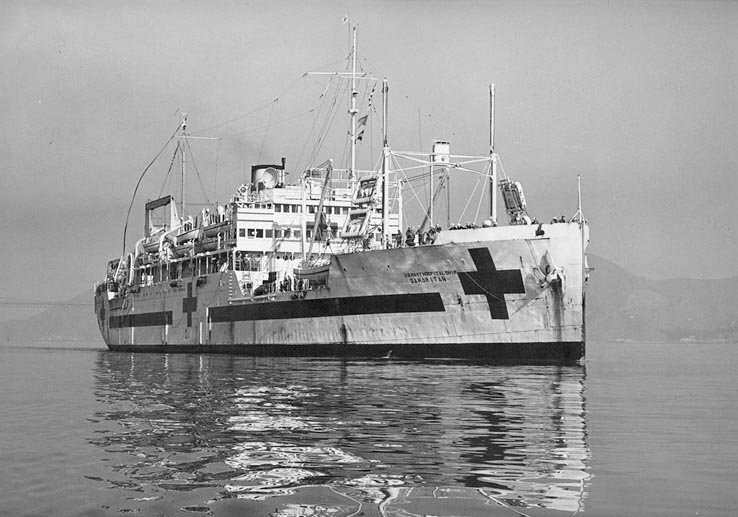 He was evacuated to a cargo ship that was being used as a hospital ship because all the hospital ships had been filled up with casualties. 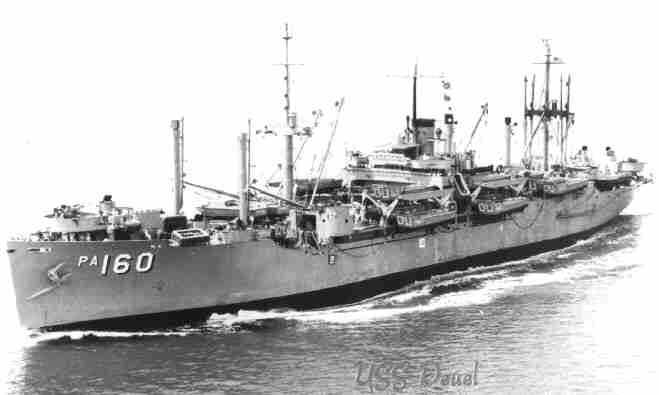 After a while, a spot on the hospital ship USS Samaritan became available and Lucas was transferred there for further treatment. Lucas eventually had 21 surgeries, but he lived through the rest of his life with nearly 200 pieces of metal remaining in his body, which set off metal detectors at airports. Lucas was discharged on medical grounds on September 18, 1945, and his rank of Private First Class was restored. On October 5, during a ceremony at the White House, President Harry S. Truman presented the Medal of Honor to Jacklyn H. Lucas and 13 others, including his former captain Robert Dunlap. Lucas had proved, though not in the best circumstances, that being a man has little to do with age. At age 17, he was the youngest serviceman in the Second World War to receive the Medal of Honor. Before his death at age 80 in 2008, Jacklyn Lucas collaborated with Dr. D.K. Drum in publishing an autobiography suitably titled Indestructible.